First, we will explore Sage Business Intelligence (BI) offerings and then, cover third party solutions. According to Top Sage Resellers, Sage Intelligence takes real-time financial and operational data from Sage ERP and transfers into templates in Microsoft Excel, which users can easily view and customize. The Excel-based interface enables users to analyze and utilize your enterprise resource planning (ERP) data in graphs however they would like. This provides users a much more hands-on and visual experience than standard reports can give. If you do some research, you will see the latest option, Sage “Enterprise” Intelligence. Similar to Sage Intelligence, Sage Enterprise Intelligence also provides a visual experience to reporting that enables users to perform advanced “slice-and-dice” analysis on Sage ERP data. How are Sage Intelligence and Sage Enterprise Intelligence different? Sage Intelligence is entirely based on Microsoft Excel and is primarily for financial reporting and budgeting, whereas Sage Enterprise Intelligence does offer an Excel add-on, but it is centered around a web-based user interface for data visualization. Also, Sage Enterprise Intelligence provides more advanced features for companies that really want to use a broad range of analytics tools for BI analysis and data mining. You might be wondering why Sage offers two different BI solutions. The reason is to provide a range of analytics and reporting options to customers depending on their industries and needs. The two BI solutions offer a different set of interfaces to help better business insight through flexible reporting and analysis. Clearly, depending on your needs and goals, if you’re looking for an all-in-one BI solution, Sage Intelligence or Sage Enterprise Intelligence may not be the right solutions for you. Furthermore, Sage Intelligence has been quoted by users to have a quite old and clunky Excel add-in. If your current system is limiting your company from making smart choices for your business, you should consider investing in a new BI system. Ease of use, flexibility, and collaboration are things business professionals should be looking for when investing in a BI solution. Third party BI software, such as BI360, BizNet, Host Analytics, and more, are expanding their ERP functionality by offering best-of-breed financial reporting and planning, as well as data visualization and data storage. Modern BI tools are providing business end user choices so that users can access the exact information they need when they need it without having to wait for assistance. Today’s BI solutions join the familiarity of Microsoft Excel and flexibility of web and mobile into one product. If your company is growing rapidly and is still relying on spreadsheets, modern, best-of-breed BI solutions can be a great option for you. Some of today’s BI solutions deliver real-time accurate data when you need it. One of the growing pains companies experience is when they hit a wall with home-grown Excel models. When reports and spreadsheets contain more data than it was built to handle, Excel can become sluggish. In a growing company, you will need a system that enables real-time data sharing and updating. Having a proper view of a bigger picture with a BI tool that can combine information from various data sources will make a clear analysis of your data no matter how large the size. My recommendation to you is to take a look at a key component of BI analytics: the tools. Depending on what your company needs, basic tools, like planning, reporting dashboards, and data warehousing, can make all the difference. Reporting tools are necessary to remaining competitive in your industry, making smart decisions while building the company and the brand. Financial reporting is an incredibly important, must-have process and you should see what the best option is for your company as well as what fits into your BI strategy. Platform choices (Excel, Web, and/or proprietary), data integration options, and ease-of-use are things to consider when investing in a BI solution. Planning tools cover budgeting and forecasting and are offered by Independent Software Vendors (ISV) to streamline the company’s planning processes and expedite budgeting and forecasting by inviting secure collaboration into the procedure. Planning outlines the company’s financial direction and expectation: budgeting marks how the overall process will be executed, specifying expenditures, and forecasting utilizes historical data to predict financial outcomes for the company. Planning builds up financial data, which can make it easier for businesses to make decisions to produce more accurate analysis and budgets. Dashboards have been top priorities in terms of software that company executives are seeking. This is because dashboards make consolidating data into digestible bits easy. With dashboards, you have access to charts, graphs, and scorecards that convey victories, trajectories, and challenges through key performance indicators (KPIs) with your data to effectively keep your company on track. Data warehousing is a powerful tool to utilize when organizing and strengthening analyses. Data Warehouses (DW) focus on collecting, storing and organizing data by topic to enable the best and easiest use of BI end-user tools. If you are unsure whether your organization needs this tool, consider the different types of data your company will have to manage. Many companies consolidate their information in Microsoft Excel, but a data management tool, such as a DW can eliminate errors, wasted time and money, and manual data entry. Pre-configured, commercial DWs are becoming more popular because organizations can consolidate multiple types of data sources into one space without needing any professional help to manage the software. Also, dashboards, budgeting, and financial reporting software are becoming prevalent in the Cloud as they enable business professionals to manage and analyze data from anywhere, as long as they have internet connection. With that said, what do you need to maintain or improve the well-being of your company? 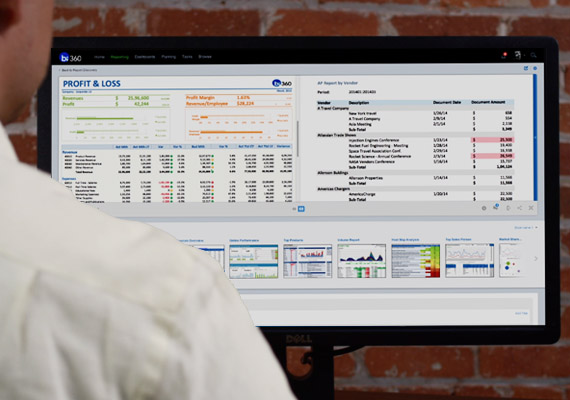 Software, whether Sage BI or third party solutions, offer a complete Excel and Web-based suite, comprised of reporting and budgeting, dashboards, and a pre-configured DW. Knowing your options and your needs will help you make a decision on whether or not you will be needing a new BI system. This entry was posted in BI360, BI360 Planning, BI360 Reporting, Business Intelligence, Collaboration, Sage 100, Sage 300, Sage 500, Sage X3, Uncategorized and tagged Adaptive Insights, BI Solutions, BI360, BI360 Planning, BI360 Reporting, biznet, business intelligence, Cloud, Crystal Reports, Dashboards, data warehouse, DW, excel, Gartner, Host Analytics, jet reports, Sage, Sage Business Intelligence, Sage Enterprise Intelligence, Sage Intelligence, SSRS by Hanna Kim. Bookmark the permalink.